We have all had our class birthday treats horror stories. Mine was a parent who sent in two dozen doughnuts – all different shapes, sizes, and flavors. That was fun. One of my friends had to deal with a fancy cake that was clearly not big enough for the class, ice cream, and no plates, spoons, or serving utensils. Instead of treats, the child brings a special book to add to the class library. The child or the teacher writes who gave the book and what birthday he or she is celebrating on the inside front cover. The child or teacher reads the book to the class (or a favorite part if it is a chapter book). Each child in the class makes a page for the birthday child’s Birthday Book. A page consists of a picture and a positive statement about the birthday child – something that is admired or appreciated. The birthday child makes the cover. The teacher makes a page, too, and all the pages are bound in a special book for the birthday child to take home. Birthday child gets to choose a game for the whole class to play. For older children the birthday child could lead the game if he or she chooses. The birthday child may invite family members to eat with him or her. If possible, there is a special birthday lunch table. The special table could have a table cloth and a vase of flowers to make it a little more special. Another variation is to let the birthday child eat at the birthday table with friends of his or her choice, possibly from other classes. Almost everyone can eat plain popcorn, and it is still a treat. Maybe not as good as cupcakes but still fun. You could have a couple helpers pop some in an air popper at recess and then have it as a birthday treat. What special thing do you do for birthdays? Feel free to share your ideas! 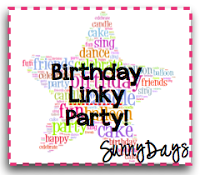 You can find more birthday ideas at the Birthday Linky Party at Sunny Days in Second Grade! Can I just say I love this idea. My son has a peanut allergy and I am so worried about when he goes to school. As a teacher myself I know that PB is served daily in the cafeteria and also that other parents bring treats without considering allergies. People… you can kill my kid! It's really annoying because many people think why should my kids not be allowed a PB sandwich because yours can't. Well… my child could die from it.. if it was your child who could die from it would you even want it in the room? Never less… if your child can't eat a PB sandwich are they going to die? It just annoys me. Same with cupcakes… many kids are allergic to eggs. =) Sorry… it's just my soap box. I agree… no more cupcakes. Jennifer – my heart goes out to you. As if it isn't hard enough to keep kids safe these days and then to have to deal with something as frightening as that! I have never had a student with an allergy as serious as your son's but my daughter has been in "no peanut" classrooms and summer camps and it is really not a big deal, in my opinion to skip the PB&J. Heck, just let them all get a drink from the water fountain. What seriously lame ideas. A birthday is a special day and the birthday girl or boy should be allowed whatever celebration he wishes. If special dietary requirements of some children are present, provide the parents with these restrictions and make it a requirement that those children be accommodated if a birthday treat is to be brought for the child's birthday, but don't rain on the parade of a special day. It is not that simple. Most kids with allergies must avoid not only the obvious allergens but the hidden ones as well. My gluten intlerent child cannot eat most cake frosting or even rice krispie treats. My nut allergic child cannot eat most boxed mixes, bakery goods or brands of chocolate chips. I could never expect another parent to follow those lengthy requirements. It is far too easy to make a mistake. What a rude comment. Those are good ideas. Try to be more constructive in your feedback. If it is your child that has that many dietary restrictions then YOU, the parent, should be responsible for bringing an alternative for YOUR child. I work in a nut free center, I totally understand that nuts are dangerous because even the smell of them or oil left on clothing can cause a serious reaction. But when it comes to gluten and eggs it is very hard to find an alternative that all children will enjoy and be excited to bring for the class. It's not fair to disappoint the whole class and the birthday child! I agree. It is the birthday child’s day – they should decide what they want to bring. If a child cannot have certain things, then they just decline the offer of whatever it is. They should know what they can or cannot have and should not be the burden of the rest. I know that sounds harsh, but other than putting every child in a bubble, what do you do? I cannot possibly know what others are allergic to and have absolutely no idea what it means to need to be gluten free or whatever…however, I do try to be understanding, but again, I have no idea what kids can be allergic to because mine isn’t allergic to anything. Funny how negative comments are always left by "Anonymous." You are of course entitled to your opinion…but considering the increasing numbers of overweight and obese children these days, maybe we should encourage children to find ways to have fun without a sugar overload. I hate those giant cookie cakes. Cutting one of those so everyone has an equal piece is a pain. I don't mind cupcakes too much because they are easy to pass out. I haven't had any children with allergies, but I will next year (eggs). I wish parents would just bring in some mixed fruit or fruit bars. Yummy and different! The school I work in requires packaged foods. Nothing homemade. With that being said, last year for birthdays I had parents that were creative and healthy! I had apples with Carmel cups, unopened trail mix that we made in the room, gogurts(frozen), and jello/pudding cups! I think parents can get creative if they are willing! 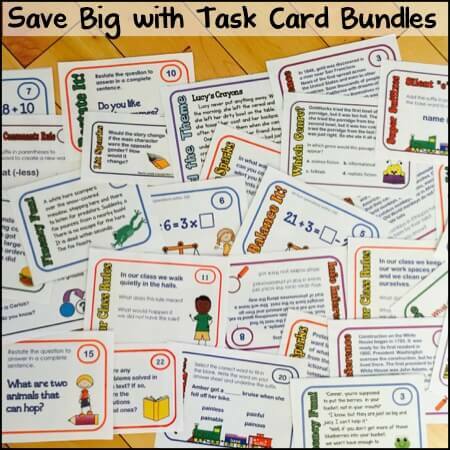 I have also found putting these suggestions iny back to school packet has helped parents as well! Keep these ideas flowing! I teach in Ontario, Canada. It is now law here that children with peanut allergies be protected, therefore no peanut products in public schools. We also have a Healthy Schools policy, so fatty/sugary foods are limited, but not outlawed. There are still the occasional cupcakes, but I've had parents bring fruit bouquets or kebabs, which the kids love. Some kids have also brought a birthday book for the class. 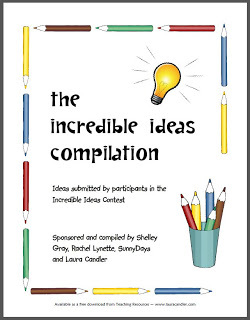 There are a lot of fun and creative ideas out there! I agree with anonymous above who said these ideas are lame. They would be great supplemental ideas, but in place of? No, I don't think so. I have 2 children in my classroom with allergy concerns. We encourage healthy snacks, but will accept what ever a parent provides. And we do make accommodations for the 2 students without penalizing the birthday child. Yes, it is possible to do so without much effort. And to the first person who left a comment … honestly, I don't want your child to die, but if my daughter desires a peanut butter and jelly sandwich for lunch, she will have one. It's not a personal attack on you or your child. Having conversations at school and setting up peanut-free zones is possible. So while I've never left my comment as "anonymous" before, including when I've disagreed with a writer, I feel the need to do so today. You could have left your real name…it is only a discussion with different opinions, not an assault on anyone's character. I am fine with a lively discussion, if I wasn't I would simply delete comments that don't agree with my perspective instead of responding to them. I have a picky eater and for a long time peanut butter crackers or sandwich was all she would eat, so I do not think outlawing peanut butter at public schools is an option, but we do have to make good accommodations. In my class this year I have a student who does not celebrate holidays, a peanut allergy and a low sugar diet student, but before even knowing I had these students I had my principal approve for my plan for "Monthly Snacks" where 2 birthday parents brought in juice and a snack once a month for our class in honor of their child's birthday. I provided them with a list of approved snacks once I learned of our dietary restrictions. This worked for us because some parents can not afford to do elaborate things for a class of 20. In past years I have had the two or three students have pizza, chips, cake, and goody bags, and others nothing, this works much better. I have also had the parent that just shows up at lunch and starts passing out food before even consulting me. My students' safety is a top concern, so this upset me a lot, especially after she continued to do even when the administration told her to stop. One of my friends in high school died because of a reaction to a product that was not correctly labeled as containg peanuts (thankfully this did not happen at school) However, I cannot understand how some parents are offended about not being able to send peanut butter sandwiched to school with their kids. If it was your kid with a life threatening allergy you would want the same. I think parents who are annoyed with peanut-free schools are ignorant as to the effects. It is not simply a rash or a cough. It is a matter of life and death. I have heard many sides to the peanut-debate before. For some, the only thing they can afford is peanut butter. What are they to send if they can't afford anything else? For others, it is not peanuts so much as a restriction in general that is the issue. They believe that if they accommodate one allergy then they will eventually be required to accommodate all allergies. I am not sure where I stand on the debate, I understand all the sides and agree less-sugar in classrooms is better but I also feel that birthdays are special and should be treated as such. 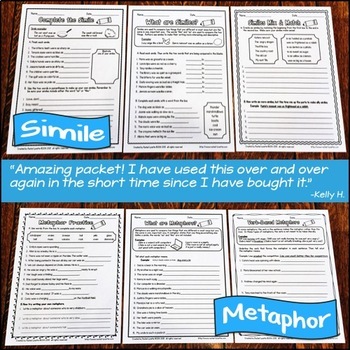 I love this idea for a linky party as it gives us time to discuss and share the many options available. "but considering the increasing numbers of overweight and obese children these days, maybe we should encourage children to find ways to have fun without a sugar overload." School lunches are a much bigger cause of overweight and obese children (hence why poorer children on free school lunch programs are overweight…because their parents can't afford healthy REAL food). Thirty (depending on how many children are in the classroom) cupcakes per year does NOT cause overweight or obese children. 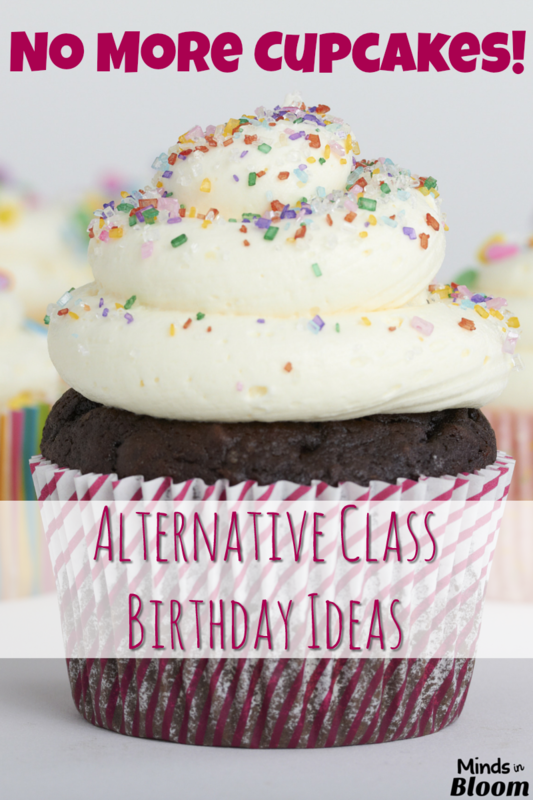 First of all, the only reason I am reading these comments is because I was hoping that someone would have given some more suggestions about alternative classroom birthday celebration ideas (rather than just saying that the ones provided are lame…). Second, I greatly disagree that school lunch programs are to blame for obesity. Are you at all familiar with the laws, rules, regulations, and planning that goes into school meal programs?? Perhaps consider the fact that poorer children in free school lunch programs are overweight due to this little thing called FOOD INSECURITY. First of all, THANK YOU for the alternate ideas. I've been trying to come up with some. I have parents who aren't able to do anything and others who go all out. At the end of this year, I decided that we're doing one party each month and that's it. I know some parents won't be happy, but I think this will work better for my students individually and as a whole. About the peanut butter debate. It was easy for me to personally accomodate a peanut allergy in my classroom 2 years ago. I just didn't eat it. I dealt with the nasty parent comments like, "He loves peanut butter, and if he wants a peanut butter sandwich I'll send one." Many of the parents were accommodating, thank goodness. This past October I discovered I'm now allergic to peanut butter. Not only that, I react to SOME products that say "May contain traces of peanuts." (I never know which ones.) AND if someone touches peanut butter then touches something, and then I touch that item and touch my face or arm, I break out. Peanut allergies are scary. I never know what I'll react to. I think it's important to protect our children and teachers from something that could kill them. My worst treat situation was a grandparent that brought in a small DQ ice cream cake and left it at the office for me to deal with. Those suckers are as hard as a rock. The cafeteria has all these health regulations and so they can't lend you a proper knife. I ended up leaving the cake out for an hour to soften it up and then cut it with a PLASTIC FORK. There wasn't nearly enough to go around and by the end I was scooping crunchies and melted ice cream onto plates. It was AWFUL. I do have an objection to the peanut-free school but for different reasons than others. I find that those with a peanut allergy must be vigilant in only eating what is provided by their parents. If the school is supposed to be a peanut-free zone, folks get complacent. You can easily tell that pbj, pb crackers, etc contain peanuts, but how many parents in a peanut-free school would actually check the label on every single thing and make certain there is no peanut content/chance for peanut contamination? Very few… this, folks, is your deadly situation. "Everything in the school is peanut-free", the child thinks… and shares something with a peer that has hidden peanut content. If my child had a peanut allergy, he would not be eating ANYTHING that didn't pass through my hands. I don't know what the answer is, but I wanted to share that. Great ideas! I especially love the idea of donating a book and reading it in class. Yes, every kid should be able to celebrate his/her birthday with cake. That's why you throw birthday parties. At home. With 22 kids in a class and about 39 weeks of school, is an in-school cupcake party really necessary every other week? I work in a Head Start program so sweets are limited to one party per month and one cupcake or small piece of cake in that party so when I saw that this post was "No More Cupcakes", it grabbed my attention. Now, I must say that I can agree with the anonymous nay-sayers in that the ideas presented in the post are a *little* boring but I love the ideas that came out in the comments. I will be implementing some of them this school year- even though I have only two birthdays this school year, I will use them for holiday parties. I teach Pre-K and cupcakes are one of my biggest nightmares! They happen to be one of the messiest foods known to mankind!! At the beginning of the year I send home our school's nutrition guidelines for snacks; however, I know that all of my parents are NOT going to read it or abide by it. Fortunately, most parents at least ask before sending treats (usually just to know the number to send) and I can mention any food allergies or preferences then…and while I never suggest cupcakes, they occasionally make an appearance (and then stay all day ground into the carpet!) 🙂 The kids' favorite treats are string cheese and fruit (and it doesn't have to be fancy — half a banana or some apple slices). Among my worst birthday party treat experiences is the parent who insists on bringing professionally decorated sugar cookies that match the special plates, cups and napkins that she wants us to use. I haven't had the heart to tell her that the cookies are too big and too sweet and most end up in the trashcan…and these little kids don't notice that everything matches! My daughter's birthday is on May Day. In Kindergarten, we brought packets of marigold seeds (4 for a dollar at the Dollar Tree) for her class. In first grade, we brought glow sticks, which were a HUGE hit two days later when the class went to the zoo and spent quality time in the nocturnal exhibit. Can I just say that fruit, while healthy and delicious, doesn't work for everyone. My husband is allergic to some fruits. And I'm scared my son could develop the same allergy. My sister-in-law is allergic to all fruits and veggies. While their allergic reaction is not as sever as a peanut allergy, it's still uncomfortable. I've sat here reading all of the pro & con peanut allergy comments & what many of you do not realize is that a person with a severe allergy to peanuts can have a life-threatening reaction to someone else who is sitting nearby eating a peanut butter sandwich! It isn't that anyone wants your kid to suffer by not being able to eat whatever they want, it's that the child with the allergy could DIE! I was recently on an airplane where a woman got out a bag of trail mix that she had brought with her. As she began eating it, the person in the seat directly in front of her started choking & gasping. They were having a severe allergic reaction to the peanuts in the trail mix behind them! This isn't a petty preference, this could be the difference between life & death to someone else's child. I've also read all of the comments on the peanut debate and I have to ask: Do any of you anti-peanut parents send your kids to school with band-aids on? Latex bandages, balloons, gloves, and-as we get older- condoms could kill my children, my sister, and me. We have to be constantly vigilant because no one ever thinks that birthday ballons can kill; it's ridiculous. And, much like peanuts, anything that has touched latex within 48 hours can cause a reaction. Glad to see that balloons weren't part of the alternatives listed! My daughter started kindergarten this year and while her school has made every effort to protect her the school is "nut aware" not "peanut free." Some of these comments posted from others I feel are ignorant and quite simply the writers just don't have a clue. Not only do we, as mothers, of peanut allergy children have to worry about our children having a reaction that could lead to death, we also have to deal with overcoming the natural segregation that occurs when our children have to sit at the "peanut free" tables while their friends sit else where. For comments to surface that make statements including "if my daughter desires a peanut butter and jelly sandwich for lunch, she will have one," makes me realize as a parent that there will always be some that quite simply will never understand. For my daughter you sending your child to school with that peanut butter and jelly sandwich could have the same affect that a child bring a loaded gun to school could have on another. So before posting comments that so blantantly show your ignorance on the subject, step back and put your self in the shoes of us battling allergies, it is just as deadly as cancer, and because of some, accidents can be just around the corner everyday. I like these suggestions…especially the ones about the books (whether it's add a book to the class library or adding a book to the kid's personal library by getting a book for the student). The school I'm at doesn't allow birthday cakes/cupcakes/birthday snacks just so that nobody feels left out or obligated (financially). Some student's birthday fall during the holidays. However, the kids do sing the birthday song to the birthday student so they are recognized. I personally can't give out candy to children, espcially for the candy holidays. I feel children get more than plenty of it without my help. I'm always looking for alternatives. For my son's birthday he took "sticky hands" that I got from Oriental Trading for about 10 cents each. For Halloween I give out glow sticks to trick-o-treaters, and we are the most popular house on the street. For Valentine's, the past couple of years I've given "silly bands" to my students, and my son has given them to his friends and classmates, but they're starting to go out of style. Plus candy and esp. Cupcakes can be very expensive, I've found that I have saved a ton of money over the past few years by finding alternatives. Also by not buying candy, treats or cupcakes, for the children around me, it has helped me in my own dieting efforts, because I could never turn them down myself. To be clear, I am not against children having candy, or sugary treats, I just believe that moderation is important, and children are already presented with more than plenty. I usually give fruit bars or stickers and pencils. Pretzels are good too. Once for my turn at my daughter turn for mthly snack I was going to buy PB crackers and she told me she had a friend allergic to peanuts so she did not want to bring that. No problem. It is not an issue for my kids not to bring or have PB&J or snacks. But I do not think its other parents responsibility to make sure your kid doesn't get an allergic reaction. In the real world you are not going to be accommodated just because you are allergic….Oh and I am not anonymous. If you have ever iced homemade cupcakes, you may have wondered how bakeries manage to ice their cupcakes so neatly with a smooth and flawless looking finish. The art of icing a cupcake does take a little practice, but knowing a few secrets will make it much easier, even for novice bakers. If you do run into any snags while practicing your technique, remember that you can always gently scrape off the icing and start again. Thanks. I get so frustrated will birthday treats etc. at school. I am a 4th grade teacher and with 25 students-we can literally be passing out treats several times each month. 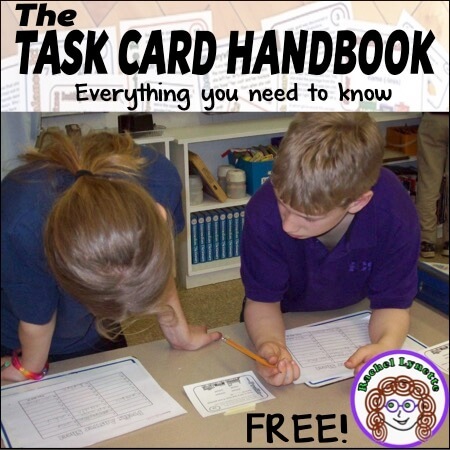 This takes instruction time,adds unnecessary calories, distracts from the learning environment and is frankly dangerous to kids with all kinds of allergies. All of this needs to be saved for AT HOME parties. Teachers have neither the time nor the desire to host classroom celebrations. …and don't even get me started with the kid who shows up with 7 invites to their party and wants to pass them out to the chosen few…. I loved all the alternative ideas, but at my school, we are there for learning. Parties and treats happen at home. I allow non-food treats such as a pencil, eraser, bookmark, or small toy to be passed out at day's end. I provide the b-day child with a crown, sticker, and a treat to take home. We all sing the b-day cha-cha and the class signs a card. I am not in favor of putting on a party for a child. That is a parent's responsibility. Too much of the above commentary is reflective of today's "entitlement" attitude. Students are NOT entitled to a birthday celebration at SCHOOL. Spray on a small amount of cooking oil either over the nonstick cooking spray or, if you don't have nonstick cooking spray, by itself. According to EasyCupcakes.com, cooking oil tends to work better than nonstick cooking spray when it comes to keeping the cupcakes from sticking. Thanks. Not birthday related but – my son's preschool is a peanut and tree nut free zone, and he eats a peanut butter and honey sandwich at home every other day for lunch. On school lunch days, he brings a Sunbutter and honey sandwich – sunflower seed butter. He didn't even notice the difference. Tastes and looks a little different, but for many kids it's close enough. The jar says it's from a peanut and tree nut free facility on machines that also roast soybeans. Just wanted to offer the alternative we use. Thanks for sharing all the recent happenings. Thanks. I understand that peanut allergies are dangerous. I do. But could someone please tell me what I am suppposed to feed my kid if he won't eat all the normal protein alternatives? My oldest has always been a good eater. Never had a problem with basically everything you put in front of him with the exception of eggs. My middle child would not eat anything but pb&j in her lunch until she got to about second grade. Now she is 11 and a great eater. My youngest who is 4 is just like his sister though worse. He won't eat meet cheese eggs beans or yogurt. He has to have protein. If not pb then what am I supposed to feed him? We have always made our children taste things. But you can't force a kid to eat what they don't like. I'm not trying to be insensitive to the plight of allergic kids parents. I genuinly would like to know what you expect of those of us on this end of it? I love the alternative ideas!! 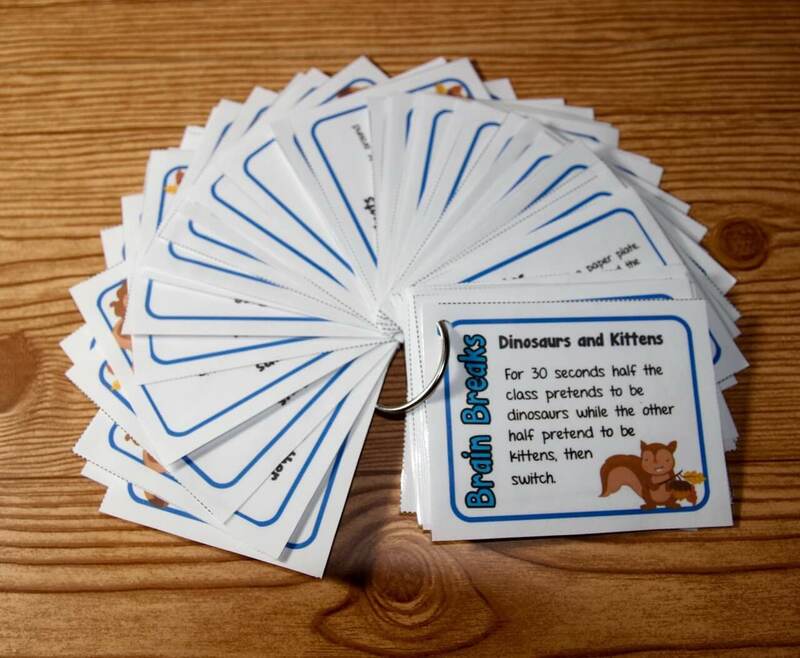 We send 'birthday goody bags' with non-edible treats for all the kids. This peanut debate is ridiculous though. Keep your kids safe at home with you; your child's safety is no one's responsibility but your own. I would never stop sending nut products. Send an alternative treat. Parents who feel the whole school should be nut free are nuts themselves. If my son had a serious allergy I wouldn't trust anyone to take care of it for me. I just read through all of these and not one time did I see anyone mention Diabetes. I have a son that will start Kindergarten this fall and he was diagnosed with Type 1 diabetes a year ago just after he turned 4. It was probably the worst 3 days of my life as we stayed round the clock with him in the hospital having information shoved down our throat so that we could care for him at home. It is overwhelming how a diagnosis like this will change your life and your the life for your whole family. Diabetes is 24/7…no breaks, no vacations. I can very much appreciate the ideas and efforts of others to not stick a cupcake in my son's face every other day because it's someone's birthday. He can't eat those things often, really he shouldn't eat it at all. I will continue to research and try to come up with some creative ways to help him celebrate his own birthday. Oh, and to make it a double whammy…he has a twin sister who is not diabetic. So, same birthday… she can have all the cake she wants and he can have just a sliver…not an easy thing to explain to a little one. Thank you for these ideas. I think they are great and certainly an alternative for my kids and our situation. I can't imagine if she had an allergy as serious as peanuts. One parent wrote that if their child had a peanut allergy 'their kid wouldn't eat anything that didn't pass through their hands.' That's great in theory. You can't be with your kid every second of the day. Young children can be convinced food is safe for them when someone older (and without a clue) tries to do so. No amount of prep work on a parents part can save your kid from every convincing argument by a camp councilor or friends' older siblings. I teach at a healthy food school and we have snack every day. Parents are very creative for birthday treats. The kids love fruit kabobs, ants on a log, sugar free chocolate pudding cups with pretzel sticks, sugar free frozen fruit bars, etc. one mom made fruit wands- grapes for the entire length of a skewer with a piece of starfruit on the top. they were so cute and the kids loved them. another mom made fruit rainbows with all types of cut up fruit on a plate with yogurt clouds for dipping. she also did "snow covered mountains"- strawberries with the tops cut off and turned upside down. she had them dip the strawberry in yogurt and then dip it in shredded coconut for snow. adorable healthy and delicious. At Halloween, she also did "spider crackers"- put some cream cheese in between 2 round crackers,, stick pretzel sticks in the sides for legs and raisin eyes. It was a fun way to celebrate without having candy. The kids are used to eating healthy at school so they don't even miss cupcakes. Have those at home if you want them! I found so many interesting stuff in your blog especially its discussion where i like to visit this blog once again. Thanks for sharing this info. Children who are overweight/obese are this way generally have parents who are too spineless to say no to their own kids – or they simply don't care. My daughter eats treats in moderation, and is of a perfectly normal weight. I think we need to stop punishing normal-weight kids simply bec. some parents are too lazy or spineless to care about their child's weight. Funny – I grew up in the 1970s and 1980s, and we had FAR more treats that the kids do now. The problem of obesity/being overweight was much smaller than it is now. The problem isn't treats; it's that parents either are too busy to care or are too spineless to set limits for their children. PERIOD. Another idea on the popcorn front, you can make popcorn more special by making it into sort of a rice crispy treat and add some mini m&m's or other small soft candy! 1. many people commented "if it's as serious as peanuts, anyone can be anaphylactic to anything, that means that you can be just as likely to die from strawberries as from peanuts. The main difference is how common peanut allergies are and the fact that peanuts are oily which makes it harder for children to properly wash the proteins off their hands (which is really what we need to focus our time on). 2. Many people are concerned about their child not eating any other form of protein. An adult only needs 2 servings of protein daily which means you can take care of your child's protein needs at breakfast, dinner, or afternoon snacks without having to bring peanuts to school. The same can apply for eggs if someone in your class is allergic to them. Part of the reason North America has more of a weight problem than other countries is our obsession with including animal-based proteins in every meal. I usually bring grapes, goldfish, pretzels, gogurts.. it doesn't have to be cupcakes and it doesn't have to be boring!! I agree with alternatives to cupcakes. Not only because of the allergy and nutrition issues (we don't allow homemade treats and ingredient lists are required), but because it is typically a waste of money. Parents buy cupcakes with the ton of frosting that turns everyone's face colors and the kids just lick the frosting and throw out the cake part. Fruit bouquets or something else is a better option. The other thing that is typically banned which I would rather see is "treats" that aren't food. I don't want my parents to spend a ton of money on goodie bags, but the party sized play-doh containers (or something similar) would be a huge hit and are a reasonable cost. We are a peanut free classroom. We always have kids with food allergies. We wash hands after eating to try to prevent oils from transferring. We have a peanut free table in the lunchroom. So, we are also not allowed to celebrate with any food items except for four parties a year. We do not miss the cupcakes! Our kids get a crown, a sticker, a special calendar piece, and everyone wishes them a happy birthday. They can bring in stickers or pencils for everyone if they want to. Parties are for weekends (I teach kindergarten). To not take away from teaching time student birthdays are announced at flag ceremony in the morning. students are then given a pencil and little notepad in thier mailbox. We only celebrate a few times a year with a party. I always found it odd that a child brings in snack for everyone else on thier birthday. I think being recognized at flag ceremony and when you do calendar time is suffient. I will have 30 students in my class a 20 min party for each is a lot of teaching time taken away. Eapecially if the treat is something difficult to deal with, which some of the comments indicated. Every child in the USA is entitled to a free public education in a safe environment. Last I checked, there is no law that entitles children to cupcakes or peanuts at school. The little one I had in my class had a peanut allergy so severe she needed medical attention when a child who ate peanut butter at a separate table breathed on her recess. The truly excellent teacher at my school has a gluten alergy so severe that inhaling the microscopic dust released from opening a child's gluten containing snack results in painful blisters inside and out. The reality is that serious allergies are becoming more common and we all need to be aware and thoughtful of each other. I would be perfectly happy going completely food free in my classroom, including holiday parties, if it meant saving someone physical pain. I sincerely hope that none of the parents insisting on their childrens' rights to eat their precious peanut butter at school end up with children developing allergies requiring compassion from others. I like the ideas! Our school is supposed to send healthy treats to school, but there are so many days I ask my kids what they had and its cupcakes, rice crispy treats, frosted cookies, etc. My son has a dairy allergy so he has a supply of treats at school that I leave there for him. When we bring treats, we bring bananas, granola bars, fruit gummys, carrots, ect. with supplies for the teacher if needed. The kids usually like them, there are a few that still want cupcakes. I will be happy when treats aren't a subject anymore. The kids at school are more happy to hear their name on the speaker and have a funny hat than to have a silly cupcake. Parties are for at home. Life threatening allergies are a different conversation, but not allowing cupcakes because one child can't eat them is not fair to that child. In kindergarden I could not eat the birthday treats parents brought. Other kids had cake and cupcakes, I had apples and once when my mother got really creative apple juice jigglers (based off of jello jiggler). Did I feel jealous and left out? Yes. Did I learn that life wouldn't conform itself to my needs and wants? Yes, and that was the bigger lesson. I learned that the joy was in celebrating my friend's birthdays. Now, as an adult, I don't even pause if food is brought or eaten that I can't have. I'll find joy in what I have not in what I don't. As adults it's hard to watch the child who can't have what everyone else does, but the best lessons in life aren't easy. These are great ideas. I teach kindergarten at a public school, and the school community prides itself on helping children be healthy and learn how to make healthy choices for themselves. We have birthday and celebration policies in place to communicate with our families at the start of the year. For kindergarten birthdays, we have a large cardboard box wrapped up as a present. Inside is an assortment of birthday books we have collected over the years. When we celebrate a child's birthday, they get to open the "present" and choose a story for the teacher to read to the class. They receive a birthday pencil, crown, and card signed by the class. During calendar, we dance to Jack Hartmann's "Birthday Rap" so that everyone gets to represent their birthday month.They also get to change their name on the age graph. Frankly, no one misses the sweets and treats. 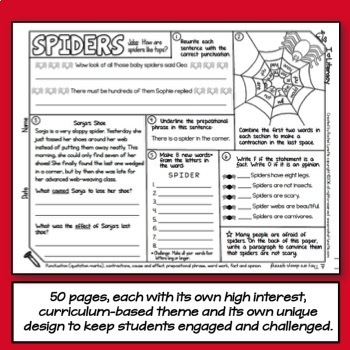 I would encourage any teacher to find other, creative ways to celebrate important events. I can't imagine what it would be like if each of my 20 kindergartens brought in sweets on their birthday. 20 school days of sugary, unhealthy "treats"? What message are we sending to children if we put such an emphasis on unhealthy food? I feel children deserve more than that from us. I would not be a happy mom if I found out my daughter was being offered unhealthy choices at every holiday party and birthday. Frankly, making celebrations food free, or at least treat free, is not as painful or difficult as one might imagine. It just means a shift in thinking. I think those ideas are lame. However, I do understand the food allergy issue and would not want to feel guilty for a child investing something that would make them ill or worse. In my sons school the kids could bring in fresh fruit, fresh vegetables, or they could choose a special snack from the school that everyone could enjoy. Now, I know its not cookies or cupcakes,but the kids did enjoy those options. My oldest son was a VERY chubby baby. The doctor informed me "He just likes to eat!" Since my sister suffered from anorexia for 17 years, I was sensitive to this subject and decided, then and there, that food would not be love. Now my "chubby" kid is six foot two, slim, goes to the gym and walks everywhere and eats all he wants whenever. But I am positive he would be a chubby person battling weight if I'd have made food a reward while he was growing up instead of something we eat to nourish ourselves. 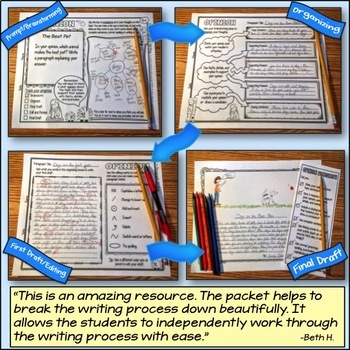 If by making appreciation books (what a magical idea that also encourages SEL!) 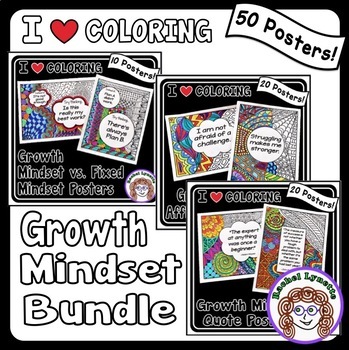 in just one classroom just ONE child is encouraged to think of compliments as soul nourishment instead of empty calories, I'm thinking this well thought out change up is worth it. We are teachers. We lead by example. Frosting and sugar are not love. Thoughtfulness is. I am the parent of a child with many food allergies. The most severe of those are eggs and peanuts. And to name a few, he's also allergic to wheat, corn, soy and dairy. Our intent is to homeschool him to keep him safe. Our school serves pb&j sandwiches weekly at lunch. I have food allergies myself so I have always been conscious of others with them and make every effort I can to accommodate them. I applaud your effort to put out ideas for birthday celebrations that don't revolve around food. It's hard on the teachers, parents of children with food allergies or special diets and just difficult in general. I am a first grade teacher at a school that struggles with this issue and hasn't yet formed a school-wide policy. However, starting last year, the first grade teachers agreed on a grade-level policy of "no birthday treats" for many of the reasons brought up here in various comments–wasted learning time, allergies/diabetes, too much sugar, hassle/mess, expense to parents, and FAIRNESS to all. However, we do very much CELEBRATE our birthday kiddos–with special privileges, a large homemade-signed-by-every-kid card, the wearing of "The Birthday Kid" pin, getting to have "Birthday Bear" for the day, and of course the song ceremony/routine. I began the year with a very serious discussion with my students about why we wouldn't be having them bring in any treats–hitting on all of these very good reasons. Give children some credit…they all readily agreed that we didn't need store-bought trinkets/junk or food treats in order to recognize and celebrate a birthday at school. They were able to understand that the word "celebrate" is not synonymous with "get sugary treats and presents." They were all very sympathetic (and full of their own stories to tell) about instances of one kid bringing cupcakes, treat bags and balloon bouquets (complete with parents, grandparents and videotaping), and another whose parent(s) were too busy or financially strapped to send in anything. If you think kids don't notice this kind of inequity, you are not being sensitive to what is best for ALL children in a classroom–not just your own precious child. Every one of my students is precious, and deserving of being celebrated on his/her birthday. But that doesn't mean every parent has the right (or means) to try to outdo every other parent by turning the classroom into their own personal party (I sometimes wonder if parents use this as a way to "get out of" throwing a party at home for their child). As it turned out–at least in my classroom–I had nothing but support and thanks from my parents. Sure, some of them had looked forward to sending in a fun treat of some sort as they had been able to do in kindergarten. But they understood, respected, and appreciated all of the important reasons we gave for our decision (there was a carefully-worded note that went home at the beginning of the year). Many of them were truly relieved to not have the pressure of having to provide a classroom treat. As for the kids…every single birthday kid enjoyed their special day because each was made to feel special and "celebrated." I'm never going back! Love this idea. Working in early childhood classrooms for years can I say that having cupcakes over 60 times a year gets excessive. You say 60 well think about it in childcare children rotate in and out as they move up classrooms individually or leave the center and new ones come in. It is just not healthy on top of all the other things including allergies, parents not bringing in the supplies, not enough to go around etc…. Or sometimes parents bringing in the whole party for you to deal with on your own. I have three children, who all have dairy allergies (they are not just lactose intolerant, but actually have allergies). While their school allowed birthday treats like cupcakes to be shared, I have never felt that they are being slighted or endangered. They have been in peanut butter free, chocolate free and strawberry free classrooms. Those restrictions make it tough for me to give them snacks that are safe for them and the other kids, but we have been able to accommodate for them. I do make cupcakes for their birthdays as that is usually the only time a year hat they can have one as well. Last year my son's teacher actually asked parents to let her know what hey would bring in, so that we could send in something safe for him at the same time. While it may be annoying to parents who don't have children wit allergies, those of us who do depend on you helping and really appreciate your help. lol, I find this thread funny. Why do we feel we MUST celebrate with food?? We can honor the student in so many different ways. I also feel a sense of community is being lost. Family and friends are not getting together any more…these parents can celebrate with food at home, a child is not going to feel less special if we chose to decorate their desk for the day, or allow them to sit in the teacher's chair, sit with a friend…etc. We should be the model for our children and all we are doing adding to negative habits. I have had every allergy you can think of and I have had to use the eppi pen before, not an easy thing to do. It is scary. Let's find other ways to celebrate each other. They will have cake at home, they are going to be okay. Why should children be allowed to celebrate their birthday anyway they want at school, save that for at home and listen to what the teachers and schools want to happen there. They have 20-30 kids interests to protect not just 1. I work in a very small School with a small number of children. We all know all the children's allergies and we have cake on birthdays. But I have worked in places with 60 kids, so 60 birthdays through the year means to much cake and you can't expect each parent to provide a cake or treat for 60. So we had a pretend cake to blow out candles and other ways to make the birthday kid feel special. There are a lot of different alternatives to cupcakes, but if they do come in have the kids eat with a fork. It is less messy. The people that are having a fit over the allergies, What if it is your kid that could die? Some allergic reactions is just being in the same room and not eating or touching it. I think more parents need to be a little more sensitive to what a kid may be going through. Isn't it nicer to accomodate a little than to find out a kid died. Birthdays should be celebrated in full with family and friends outside of school. i certainly think it's fine to recognize students on their special day, but while children are at school it does NOT need to involve food or time-consuming games, celebrations, etc. After all, they're at SCHOOL, a place of learning and safety, not a place to have constant celebrations and scary food allergy worries. When we have nearly 30 kids in a classroom, that adds up to a ton of lost instructional time and puts a lot of pressure on teachers to make sure allergic children (I have 4 this year) are safe and happy. 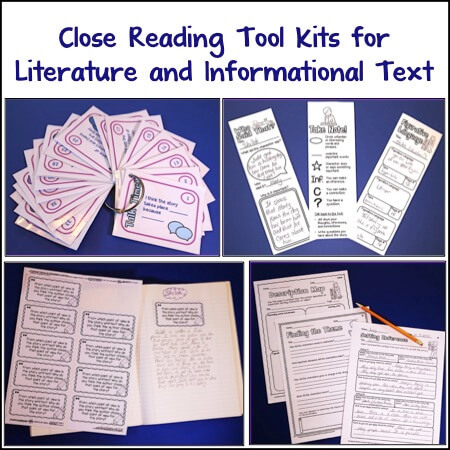 I love the idea of donating a book to the class or even the school library. Also, most teachers also celebrate with a song and a birthday pencil or bookmark, so it's not like we totally ignore the special day! Our school even announces their names on the morning announcements, invites a parent/special adult to sit at the birthday table at lunch that day, and gives the student a cool birthday button to wear all day. We do care! Why do people even send food to school for their kids birthdays? Do you not celebrate at home? Is it just a case of feeling pressure because other people are doing it? I honestly think people have no business celebrating their children's birthdays in a school environment. It should be a private family event. I am from New Zealand and this is just something that doesn't happen here. It is ridiculous! Cool post very informative I just found your blog and read through a few posts although this is my first comment, i'll be including it in my favorites and visit again for sure. Can I child die from an allergy if they don't eat the birthday treat? If a child in my class has severe allergies I notify their parents if a treat is being brought in so they can provide an alternative. My school does not have a "no birthday" treat rule. Children need to be taught how to live with their allergy. Banning foods is not "life". People eat peanuts in public, people eat cupcakes in public. Most cupcakes don't have peanuts/nuts anyways. If you don't eat it can you die from smelling it? There is a simple solution that would benefit children with allergies/children who bring cupcakes to school…bring an alternative. And to the lady who was complaining about people being "anonymous" I have no other options…I don't have a google account. But my name is Jennifer Welch. All great ideas folks. I think limiting the sugar and processed food is good. Kids don't need it, but I agree, that a cupcake party once in awhile isn't a bad thing. Food is part of a good party and kids need snacks more frequently anyways. My kids are always famished after school! I know for our school, it's the cupcake mess they hate. Kids can't eat those things without smearing icing everywhere and leaving a trail of crumbs around their chairs. I know my son's kindergarten class has banned yogurt tubes as well. Just messy! I loved the fruit kabob idea. I like fruit and veggie snack ideas for birthdays and maybe a packaged fruit snack for a treat. Kids are pretty easy to please. Second thought by me: I have two children with severe nut allergy. The hype is all about peanuts, but I have one son allergic to ALL nuts, including peanuts, and another son who is deathly allergic to cashews, but not so much to peanuts. Unless you have a child with these allergies, you don't know the worry and anxiety that accompanies food brought to the school, especially home-made stuff. How do I know the mother making it didn't clean up her peanut butter and apple snack she made that morning before icing the cupcakes next to it? (shudder!) I actually prefer the packaged stuff in the school party setting because it's securely wrapped with a label. And here's my rant: This whole peanut free school thing actually bugs me because it's not logical to expect it from every family. I hate that it's become a nut allergy parent vs. a PB&J sandwich parent. We are all parents who love our children and have a responsibility to protect them. But as a parent of nut allergy kids, I have a responsibility to also teach my two boys to be vigilant in not sharing food and only eating what I send them. I also encourage them to wash their hands frequently and to be super careful.They are neurotic about it – and that's okay at their young age (age 5 & 10). I don't expect the world to rally around my children and make us the pampered minority. I realize it's a huge issue. My 5 year old almost died in my arms last year. I SOOOO know the dangers, but I also have to teach my children to live in the world and to look out for themselves as well. Of course, it's always nice when people think of my kids when bringing snacks, but we have good teachers who are aware of our situation who call and ask about every food they may give to my child. And if you're wondering about the "may contain traces" label, I have taken a kid to the emergency who got the trace. So – it does matter, but banning birthday food isn't necessarily the remedy. AND, I sympathize with those parents who have to rally around children like mine. Thank you to those that do. My thing is – teach your kids to be sensitive to children with these issues, because it's super hard for them – and scary – and teach kids with the issues that the world isn't going to always be thinking of them. I do, however, think that there should be nut free zones in schools where preschool to grade 1 or 2 kids are concerned. They are not good enough readers of labels and lack the judgment to be able to safeguard themselves or others when it comes to food allergies. One last thing. This whole peanut/nut free thing also bugs because it's not just nuts that kids can be deathly allergic too. What about milk, soy eggs, shellfish etc. You can't control food without banning a whole bunch of other stuff. It's just a losing battle and super unfortunate for kids like mine who have to be careful of every morsel that enters their mouths, or what they touch. Bottom line, each classroom should be allowed to have their own set of rules each year based on the kids they have. It's too hard to make general rules and then follow them. Our school is nut free SUPPOSEDLY, but the school division delivers a great big nut platter every year to the office for Christmas, and my peanut allergy kid had a teacher last year that used to eat peanut butter sandwiches and O Henry bars over him while he was helping him with his math. If the school is going to make the rule, then by golly they should follow it, or not make the rule at all, so my child doesn't have that expectation and then anxiety when it's not followed. These food rules don't work, nor should they. I like "case by case" rules better. That sits better with me. On that note – I think I'll bake a batch of cupcakes tomorrow. 1. This is not a post about allergies, or a forum to debate whether or not your child's allergy should be accommodated at school. This is a post about alternatives to cupcakes. 2. This is not a post about withholding sugar from kids, or a forum to deride people for being overweight or having overweight children. This is a post about alternatives to cupcakes. 3. This is not a post about messy snacks at school or a forum for teachers to complain about parents who bring in inappropriate snacks. This is a post about alternatives to cupcakes. Therefore, if you want to discuss #1, #2, or #3 — write your own blog! Everyone else, please continue to suggest good alternatives to cupcakes. I love love love the idea of non-treat treats. The kids will feel special with the smallest things: a paper crown, their name on the announcements, and a small thing from me (a pencil and eraser). 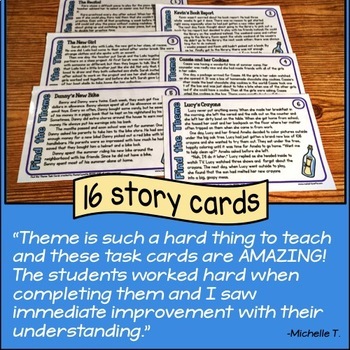 I hadn't thought about the best suggestion, though – a card signed by the class is an incredible idea! As for mom and dad bringing treats, I would love to start a tradition of having them bring in a book to add to our class library which the student can read to the class. For the sake of the kids whose parents don't provide any sort of treat, I hope we can still find ways to make it special for them! I feel that school isn't this place for an all out birthday party. I do believe in making the birthday boy/girl feel special. Our birthday students are announced in the morning and then get to talk to the office to get a birthday pencil. They LOVE it. I have been doing cupcakes, but next year I am putting a stop to it in my classroom. I have SO many kids that are unable to provide a treat or cupcakes (they are expensive). I am going to let parents know it has to be unedible treats. Then I will make that student my helper for the day. I also have a crown for them to wear, but with lice, I am going to find a button to pin on their shirt. We can celebrate a birthday without food. PARTY AT HOME PEOPLE!! Teach our kids to think outside the box. I promise your child will still have a fantastic day with a cupcake!!! PROMISE! I should've looked that over better! I love the healthy snack alternatives mentioned in some of the comments. As a former special ed teacher, I agree that treats are not necessary, but I always loved the parents who were thoughtful and checked ahead of time. They would send in books or crafts that the children could do. 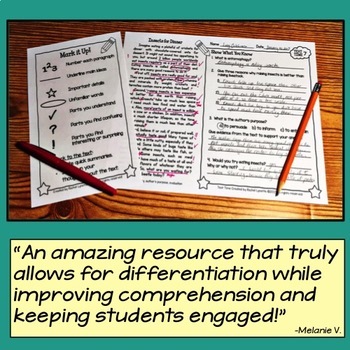 These did not take away from instructional time, but provided an instructional "treat" — something different that could acknowledge the special day and still fall in line with the curriculum we provided. We would usually make a treat in class, too, to work on life skills (following a recipe, cooking, and hygiene), unless one was provided. The worst birthdays were when parents would bring in a ton of fast food and Costco cupcakes (which are basically the size of their muffins — a triple serving size — and frosted) and drop off decorations for us to decorate with. Seriously? As for the allergy comments — I see both sides of the argument, however children are just learning to take responsibility for themselves and by nature are still very self-centered. Expecting a child to manage a severe allergy by his or herself is not realistic in an environment where kids share food, trade food, throw food, and generally do not think about consequences if they themselves do not have allergies. And for the comment regarding smell — yes, smell can trigger anaphylaxis in someone who is severely allergic. These days there are so many alternatives to peanut butter (almond butter, soy butter, sunflower butter, pumpkin seed butter) there is really no excuse for being unable to accommodate a peanut- or even nut-allergic child. And while we teach children to stand up for themselves and take responsibility for their own allergies, it behooves us to provide them with an environment where they can make mistakes safely when they are not being closely supervised (i.e. parental supervision as opposed to one teacher watching over 20-30 students) until they are able to be consistent in taking that responsibility. My son had a corn allergy. Popcorn is out. This discussion makes me very glad that I teach Middle School. We don't worry about Birthday parties. I do make sure to say Happy Birthday, and the kids are fine with that. I teach fifth grade and cupcakes have been banned for birthdays for at least five years now. As a class celebration I purchase plastic bowler hats from a party store and have all the class members sign the hat. We don't allow the kids to wear hats in the building, so having this birthday bowler is a big deal. The kids really don't miss the cupcakes. And I certainly don't! I have taught Kindergarten for 32 years. We make birthdays special by letting the birthday student choose a song for the class to dance to, each classmate makes a card, at the beginning of the year a letter goes home listing allergies and suggestions for birthdays. Our favorites are popcorn parties and Popsicles. Before our district went to store bought treats only, I had many cupcake disasters. My one and only published book is called Birthday Cupcakes. It was inspired by the many cupcakes that came to my classroom in various conditions. Great memories but save the Cupcakes for birthday parties at home! Geez…I don't get what is so controversial…these are just alternatives. I must confess I dread b-day parties. When I was in the first grade I had them more often. Now in fourth grade I only had one. I love the alternatives because I have had to almost dictate what parents can bring in to reduce the chaos. I n my class only cupcakes & boxed juices. In the district where I live parents can only send in fresh fruits water bottles, pretzels, & absolutely nothing homemade. I think we have all become even way too polarized on the kids b-day issue!!! I think teachers should do what is right for their classrooms & if that means an occasional cupcake without any nuts then let her do it. And, if another teacher what to celebrates birthdays & reading then that's awesome too!!! This is a controversial subject at my school as well. Some people don't mind sweets and birthday parties and others would prefer to have healthy treats or a simple birthday song. After having 10 birthdays in one month (that's A LOT of oversized cupcakes and loss of learning time), I decided to eliminate sweets. Instead, I've done popcorn for birthdays (most kids with allergies can have certain brands) or a crown, pencil, and song for the child. I prefer it because we lose less instructional time, there's not much required for set up and clean up, and everyone gets the same treatment. (I hate it when kids don't bring something and others judge them for it.) Works for me and a lot of schools in my area are moving in this direction as well as improving school lunches. I also agree that birthday parties are appropriate at home and it's not something we should feel obligated to have at school. I teach 4th grade, and I agree that the parties take away from teaching time, are messy, and can be a hassle. One treat I have given my students in the past is to let them sit in the teacher's chair on their birthday. For some reason, they love this. It doesn't cost anything, and it makes them feel special. First of all let me say that I work in a small private school. I had 12 students last year, so I don't have some of the issues that those of you with 20+ students in your classroom have, but I still hate wasting all that instructional time. Therefore, if a student brings a birthday treat we hand it out either during snack or during lunch. My students love to come up to my room during lunch so even if the child does not bring in a snack they are allowed to have everyone (and it must be everyone) up during lunch. They play with classroom materials, have a dance party, just chill. I really love the idea about making a book that everyone writes something positive in. I don't know how anyone could call that lame. What a neat keepsake for the future. We tried outlawing cupcakes one year- they make a huge mess and I had 6th graders! That lasted until the next birthday, when the birthday child proudly showed up at school with- you guessed it- cupcakes. The peanut allergy is a tough one. We had two sisters that couldn't even smell peanut butter without going into shock. Notes went home to parents, asking they not bring PBJs to school and why. If it was unacceptable, that child could eat his PBJ in another room. I would imagine, if it were your child, you'd want to protect them from dying because of peanut allergies. Like it or not, we have to take care of one another. I believe it starts with parents helping their children understand why things are the way they need to be. It's called empathy. I think we are missing the point. School is for learning. The attention to the "right" that children have to a "birthday celebration" is being overshadowed by the "right" they have to an excellent education. Devoting even an hour the birthday celebrations in school equates to 24 hours of instructional time lost. That works out to 4 school days lost. Parents can ensure their child is properly celebrated and leave learning time alone. At my school we do not allow birthday parties. It's too much of a distraction. We do acknowledge the birthday scholar during morning and dismissal announcements. We are also a healthy eating school so parents are allowed to bring in something for snack time. Soybutter is served instead of peanut butter. It taste the same. The kids don't know the difference. We are very mindful of children with allergies. At the end of the year we have a day called everybody's birthday. At my elementary/middle school the birthday kid(s) get their name announced on the morning announcements and gets to choose a little toy from a bin in the office. For my son's Kindergarten bday, I took freeze dried ice cream. It was expensive, but I felt awesome! 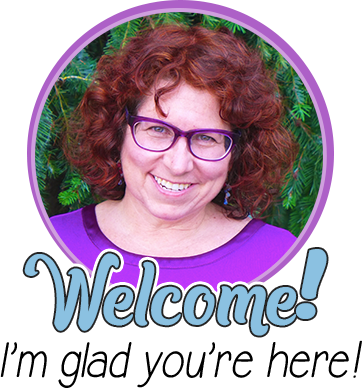 I teach in Phoenix, AZ, don't know if my name will show up, but it's Joanna M. Here's my soapbox…..My belief on the topic is that if parents want to give treats to other kids in celebration of their child's birthday, they should throw them a birthday party and invite the class. School is not the appropriate place to celebrate birthdays. Acknowledging a birthday with a card, sticker, even a crown from the teacher is enough. Parents need to celebrate on their time, not school time. I like birthday treats, too, but at birthday parties….not in my classroom. Feel free to call me the fun police…but I will have you know that we have plenty of fun everyday without treats. Wow. This discussion definitely provoked some strong responses! I LOVE the idea of nixing cupcakes, cookies, etc. to celebrate a birthday. Unfortunately some teachers at my school are not nearly as convinced. I stopped celebrating Xmas in my classroom 10 years ago and though it was a struggle, eventually the parents understood. First not everybody celebrates Xmas. Second not every family that does celebrate Xmas does so in the same way(money spent). Third I was talking to a parent one day about Xmas and here was a family that lived below the poverty line but was getting each of her 3 boys an Ipad for Xmas (because she didn't want them to feel different than the other kids). I could not participate in creating an environment at school that supported families to live beyond their means. So in my class we talk about winter celebrations, but do not do any of the crafts, songs etc. BUT I digress. I have long thought that my parents bring in cakes & juice to celebrate their child's birthday TO TAKE THE PLACE OF a celebration at home (not that they don't celebrate at home; just not as big as with 25 of your schoolmates). This year I will include a no cupcake policy explaining how much time it consumes (and we need every minute we get to cover all the standards).Will let you know how it goes! Oh, and the peanut thing? A non-thinker. I mean really, enjoyment vs. death? That this is even up for discussion is sad. I have two students this year with severe health issues; one is on a feeding tube and is allergic to everything ( I don't remember what the students' condition is), if he is even touched by another student who has something on their fingers he has such a severe reaction-looks like a third degree burn! I also have one who is a diabetic and on an insulin pump, so I really appreciate these ideas for having non-food treats. Thanks for the suggestions. My child's birthday is during Christmas break, so her class always happens to have a party on the day we would send treats. They get SO overloaded with sugar, it's nice to see other ideas in the comments. I think this year, I might hit up Dollar Tree for pencils and things. That said, I understand about nut allergies, but what no one seems to realize is allergies are severe and life threatening because of vaccines. Egg albumin and peanut oil are just two ingredients in many vaccines that we overload into our kids. Flu shots are also a danger and cause adults to have health issues. For people with allergies, things change later in life, and many people develop sensitivities they never had before. Look into tetanus, flu, pneumonia, and childhood vaccine dangers, and you'll find what I'm saying is true. Stop vaccinating until we can get guarantees of safety. Right now, there are no safety guarantees, and these are things that get injected into us. Motorcycle helmets, seat belts, crib mattresses, and other things that are not permanently adhered to our bodies undergo more safety testing and have guarantees. We need to stand together. Vaccines need to be safety tested. They aren't. The makers admit this. Until vaccines are safe and manufacturers held accountable, we need to resist. If we resist, we will get results. If we resist, we will, over time, see allergies decrease among children. I loved your post as I have a child with a life- threatening allergy to milk. I see both sides of the issue as we have a younger child who does not. Life- threatening food allergies are a disability. Shame on the parents who will not work to keep these kids safe! If an accommodation was being made in your child’s classroom for a child with autism or a child in a wheelchair everyone would gladly accept these modifications. Our school is piloting non-food based birthday treats for all grades as we have designation and a green and healthy school. Kids have been excited to do something different!